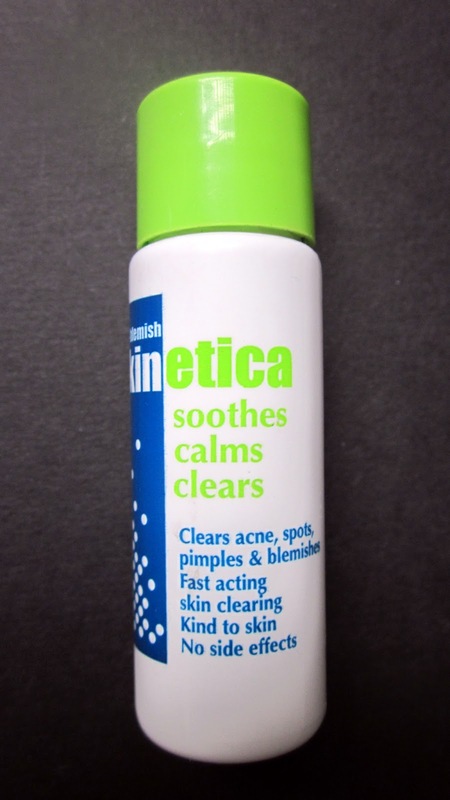 A couple of weeks ago when I first used Skinetica I thought it didn't work but that's because I was using it on my post-baby hormonal skin. When I'd stopped breastfeeding and had got my life back a bit I tried it on a whopper that was brewing and it worked. Fluke, I thought. But no. It's worked on every spot I've had in the last three months no matter whats stage they are at when I've applied it. This is by far and away the best spot treatment I've ever used. Fact. It's really good. Worth the £9.99 (for 80ml) price tag. It is kind to skin - and has the Dermatest certificate to prove it - and as it is not an oil or a cream it doesn't coat your skin but allows it to breath. It is suitable for all skin types and tones and, as long as you leave it to dry before applying your mosituriser and base, this won't effect your make-up routine either. If you are like me and just suffer from the odd break-out or if you have a more ongoing problem try this and let me know what you think.